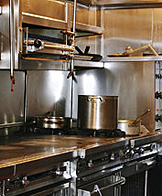 We buy and sell all kinds of restaurant equipment. Contact us in Hayward, California for new and used restaurant equipment and supplies, including walk-in coolers and freezers. Copyright © 2019 National Restaurant Supply, nationalrestaurantsupplyca.com, All Righs Reserved.